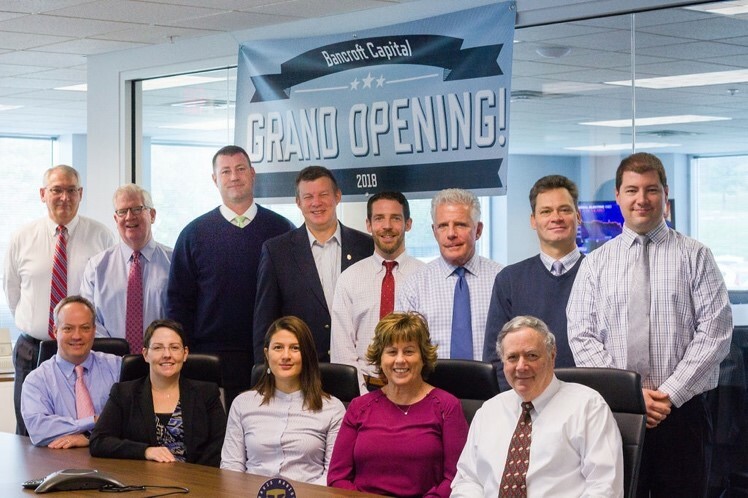 The team at Bancroft Capital hosted the finale of their month-long Grand Opening celebration on Veterans Day observed November 12th. Also pictured: Hugo Lentz, Director of Strategic Partnerships at Travis Manion Foundation. 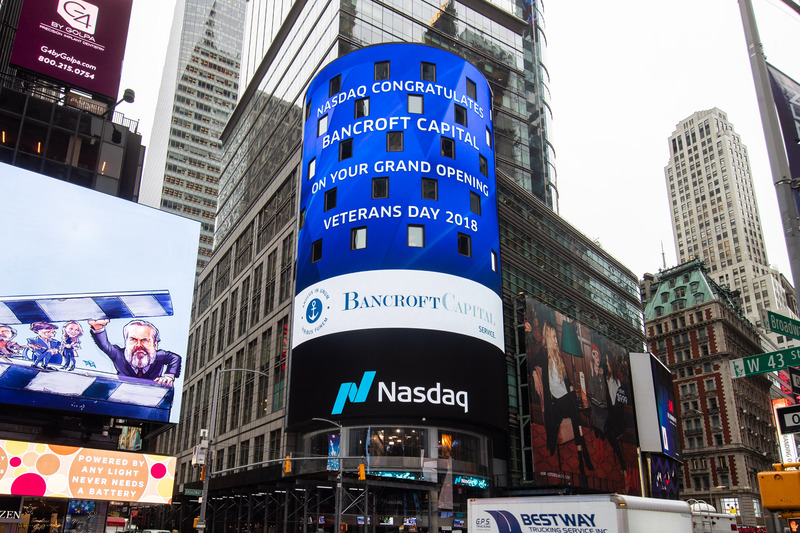 Bancroft Capital hosted the finale of their month-long Grand Opening celebration on Veterans Day observed November 12th. In keeping with its mission of commitment to service to clients, country, and veterans, Bancroft donated 100% of their net profits on Veterans Day to the Travis Manion Foundation, a nonprofit empowering veterans and their families. Hugo Lentz, Director of Strategic Partnerships at Travis Manion Foundation, joined Bancroft’s Grand Opening celebration to highlight the similar mission that underpins both organizations. 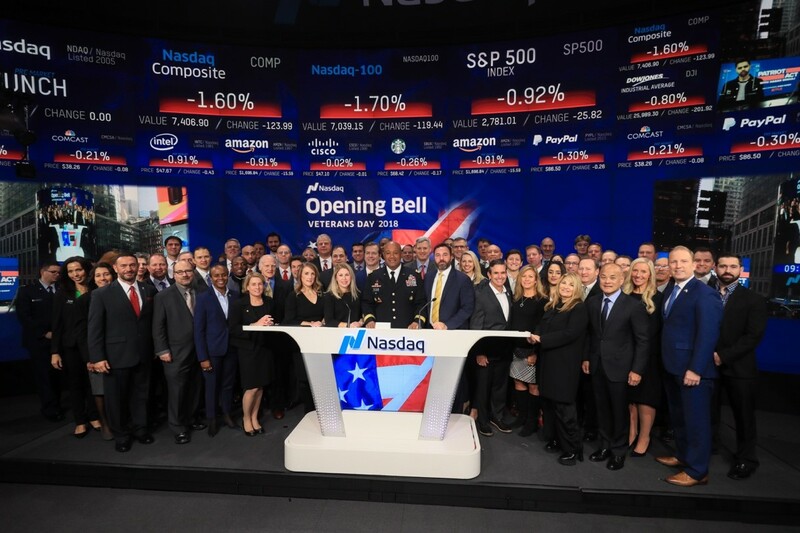 Continuing the celebration, Bancroft Capital was honored to represent US Veterans in ringing the Nasdaq Opening Bell on Veterans Day. Travis Manion Foundation empowers veterans and families of fallen heroes to develop character in future generations. They are committed to creating a nation of purpose-driven individuals and thriving communities that is built on character. www.travismanion.org. 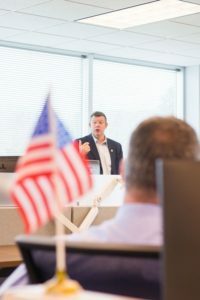 Bancroft is founded upon a commitment to service – service to their clients, service to their country, service to the veterans and first responders who have sacrificed on our nation’s behalf. Founded July 4, 2017, Bancroft provides institutional clients with financial services including: Public Finance, Cash Management, Equity Trading, Investment Banking, Capital Markets, 401(k) Consulting, and Asset Management. Brokerage and investment advisory account investments (including mutual funds) are not FDIC insured, not bank guaranteed and subject to investment risk, including possible loss of principal invested.